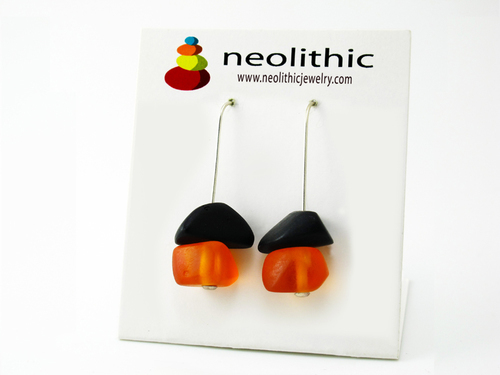 Bright and colorful with pebble shape beads, these contemporary drop earrings will uplift even the plainest outfit. It will take the headache out of looking good. 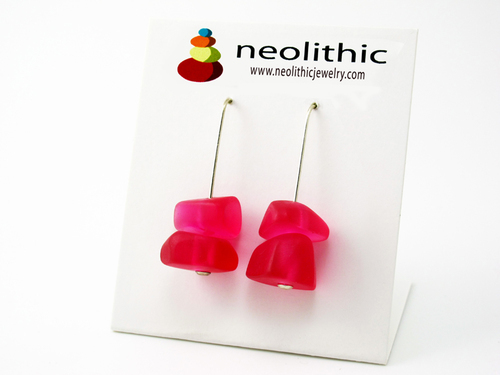 Simply pair them with a pair of jeans and a plain sweater, put on your gorgeous bright pink resin earrings and you’re good to go! You will ooze contemporary chic. Now you can infuse your look with an edgy and funky detail. Update your wardrobe in an instant with nonchalant style. 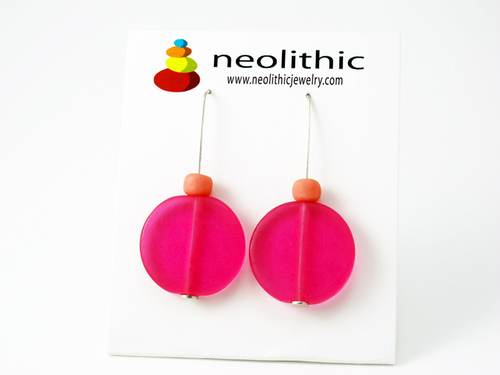 The pink resin earrings boast a modern composition with a sugary summer color. The fun resin accessory will sit well with a chunky knit as well as a glamorous evening gown. Pink is a powerful color that has psychological effects on the wearer. It represents the feminine principle and is nurturing and physically soothing. It tones down the physical passion of red replacing it with a gentle loving energy. It is said to be the color of hope. Neolithic resin earrings are entirely handmade and each piece is soft and smooth which makes them really comfortable to wear. Despite their big size, these bold earrings are very lightweight and you’ll be able to wear them for hours at a time.